Happy New Year! We hope yours will be an enjoyable and prosperous one. Our brokerage team at Fountains Land is looking forward to helping connect more buyers and sellers of rural land in 2018. Before we move forward, we wanted to take a moment to share with you our accomplishments in 2017 and our outlook for the year ahead. In January of 2017, Fountains Land joined with F&W Forestry, a forestry consulting firm based in Georgia. With a team of 18 forester-brokers located throughout the Southeast, we have greatly expanded our services in this region. Now Fountains Land is your source for land brokerage from Maine to Florida and west to Texas. Combining our new, larger brokerage team in the south with Fountains’ 30 years of experience successfully marketing forestland, we are looking forward to a busy 2018 with more total listings than we have ever had before. T.R. Clark is based in our LaFayette, Alabama, office and specializes in forest management, private timberland consulting and timberland brokerage. He serves as F&W’s regional manager for Alabama and holds real estate licenses in Alabama and Georgia. T.R.’s listings in 2017 included timberland, recreational land and waterfront land. This past year we successfully marketed many smaller tracts that were appealing to family investors. Some of these timberland tracts were enhanced with sugarbush potential, residential options, and attractive features such as views or brooks. Throughout 2017, the market was slowly improving with a larger jump late in the year. 2018 is looking like a good year for the timberland market. Happy Hollow Forest is a 163-acre timber investment with sugarbush potential in northwestern Vermont. Sugar maple of exceptional quality accounts for 3/4 of the timber and the forest management has been exemplary. In addition, there are many recreational benefits to this property, enhanced by state lands right next door. This property attracted several investors right away and sold quickly. When a timber investment of this quality comes along, it doesn't stay on the market for long. It was a busy year for us with recreational properties as inquiries were up significantly over the year before. While buyers remain judicious, they were more active this past year. This correlates with the gradual market improvement we observed throughout the year. With 2018 projected to be year of continued growth, we are confident that many of the folks contemplating land purchases will find themselves as landowners by year's end. Lemon Stream Forest in Anson, Maine, is a great property for hunters and anglers alike. With long frontage on a main road and a network of internal trails, access is easy. The central portion of the property, where there is privacy and quiet, has the best building sites. The attributes of the property attracted an outdoor enthusiast who liked that the road frontage leaves future options open. A large tract of timberland on the eastern slopes of the Worcester Range in Vermont was protected in 2017. This property is adjacent to the 13,000-acre C.C. 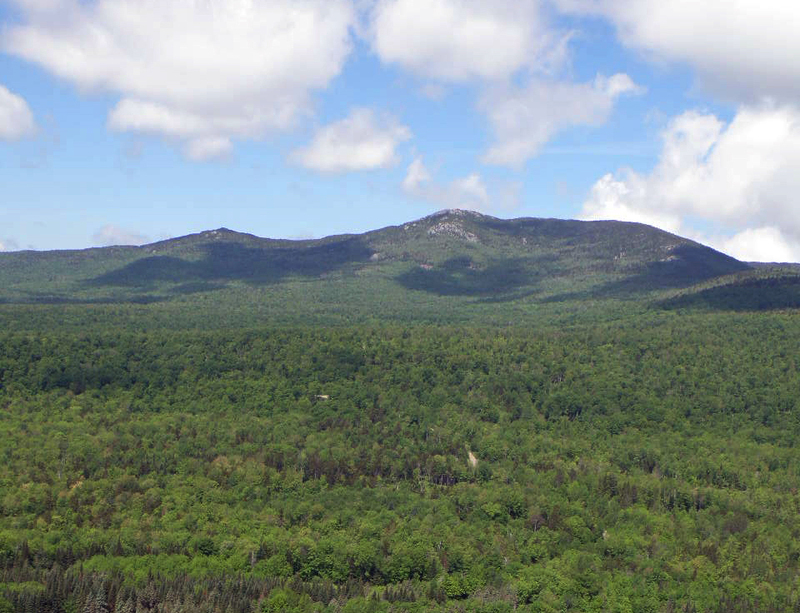 Putnam State Forest and includes the eastern ridge of Mount Hunger, one of the trail heads to Mount Hunger and several peaks of the Worcester Range. 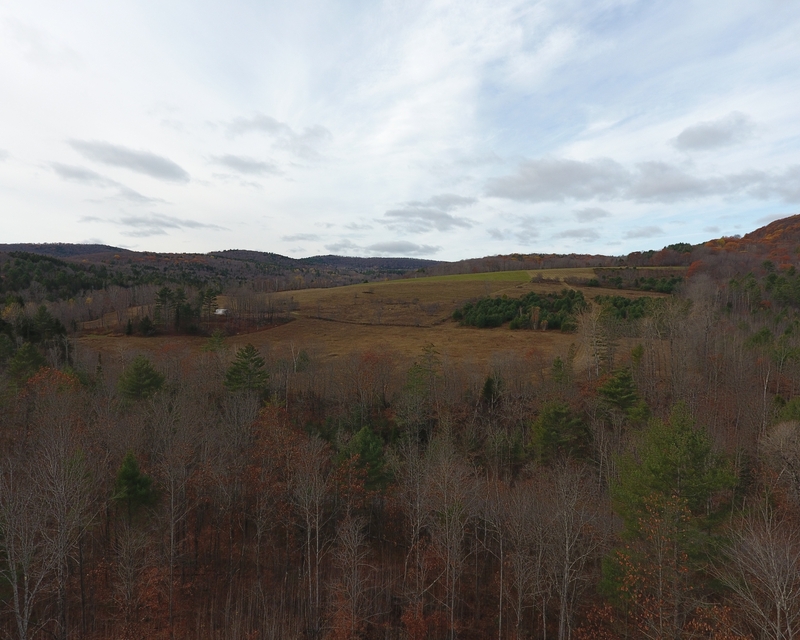 Purchased by the Trust for Public Land, they will turn it over to the State of Vermont in phases as an addition to the adjacent state forest. Now the public can enjoy a larger state forest, and the view shed of the mountain slopes is preserved. Rural homes on 50 acres or more are the focus of agents Alisa Darmstadt in Vermont and Mark Rabon in Maine. 2017 was our initial year making a concerted effort to list and sell these properties. Several nice properties are listed with us now and we look forward to many more in 2018. Placidia Farm is a stunning home and land opportunity. The immaculate log home offers comfortable living space, copious storage and detailed finish work. A one bedroom apartment on the lower level expands living space or offers the opportunity for income. On the other side of the garage, a large woodshop provides a host of possibilities. The acreage creates a serene environment with local views and is made up of fields, forest and a brook. The property is listed at $375,000 by Alisa at 802-272-7209. To stay informed about our listings, we encourage you to visit our website – fountainsland.com – and sign up to receive our property announcements. If you have a property you would like to discuss, please contact Michael Tragner at 802-233-9040 or michael.tragner@fountainsland.com. We look forward to serving you in the coming year!